I need to be reminded of this daily. To practice both accepting myself and accepting all that life brings. The wonderful and awe-inspiring and the challenging and deeply painful. All parts of being human. And that goes for me as well! 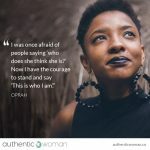 All the wonderful qualities that I have, my strengths, my passion, my resiliency, my big heart, as well as all of those challenging and confronting parts of me that I often don’t want to see and feel, my anger, my fear, my hurt and the patterns and behaviours that these feelings can drive in my life. 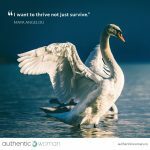 Many years ago I was taught how the 3 A’s can support me to live a truly authentic life. Awareness. Acceptance. Action. In that order! 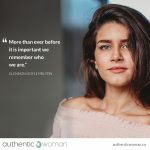 Growing my Awareness is the crucial first step towards living more authentically. Knowing my thoughts, feelings, behaviour patterns and the beliefs that drive my choices. 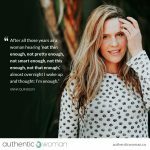 Yet the challenging part about self-awareness is that it can be very confronting! And most of us are incredibly hard on ourselves. It’s not surprising we can hide the truth from ourselves; we can sabotage ourselves, when honesty can be met with such harsh self-criticism. Over the years my awareness has really grown and yet I notice I still have a tendency to jump from Awareness to Action. ‘Oh, now I see what I am doing, lets ‘fix’ that’. And in the past this has often come from a place of self-judgment and a belief that I need to be perfect to be loved. In my experience, when I miss the middle A, when I don’t practice self-acceptance and with it self-compassion, then I don’t tend to take actions that are in my best interest long term. I take actions out of fear rather than actions out of self-care and self-compassion. Once I gain awareness of my feelings, thoughts or behaviors, the next crucial step for me is to ‘be with’ this awareness. 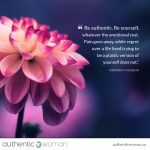 To practice acceptance and self-compassion for my feelings, thoughts and behaviours. When I do this, the kindest next action simply arises within me, gently and slowly. I can choose different behaviours, change old patterns. 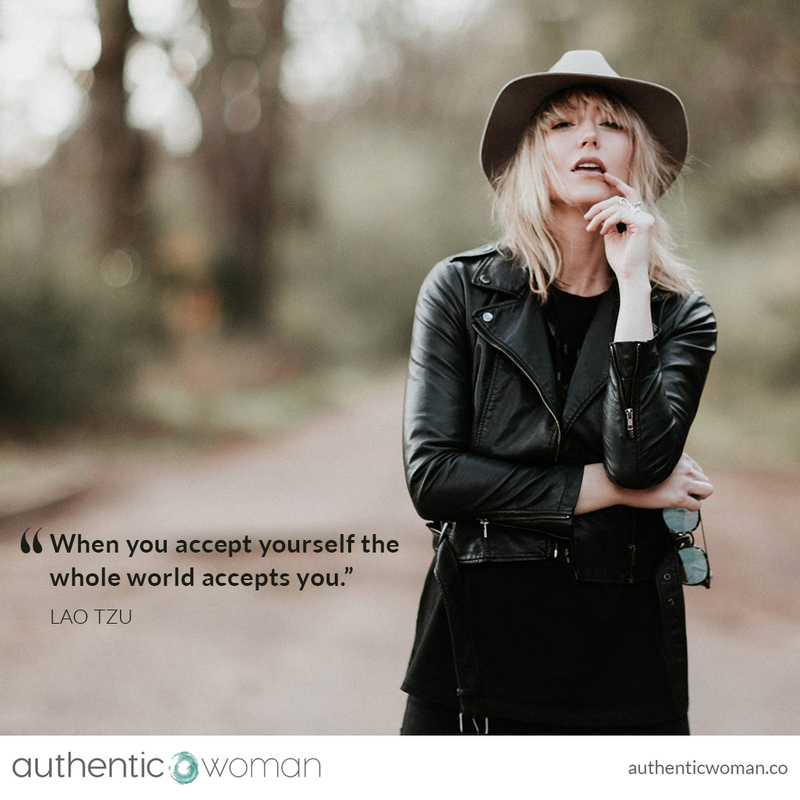 And yes, as this quote says, when I am able to fully accept myself, the world shows up differently. While it feels so counter intuitive, rather than looking for acceptance from others, which I have done for SO much of my life, when I give myself acceptance, I often then receive it from others. And, if I don’t, it doesn’t matter so much anymore. What a relief to have found the gift of self-acceptance and self-compassion.